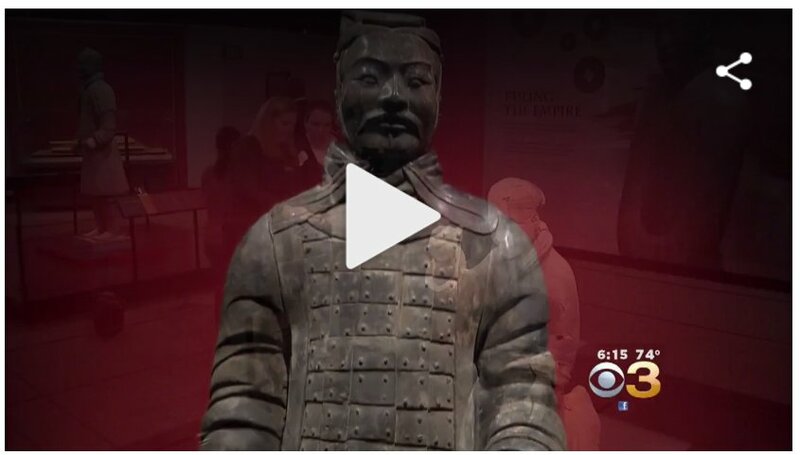 An extraordinary exhibit over 2,000 years in the making, Terracotta Warriors of the First Emperor has just opened at its only East Coast venue – The Franklin Institute in Philadelphia. 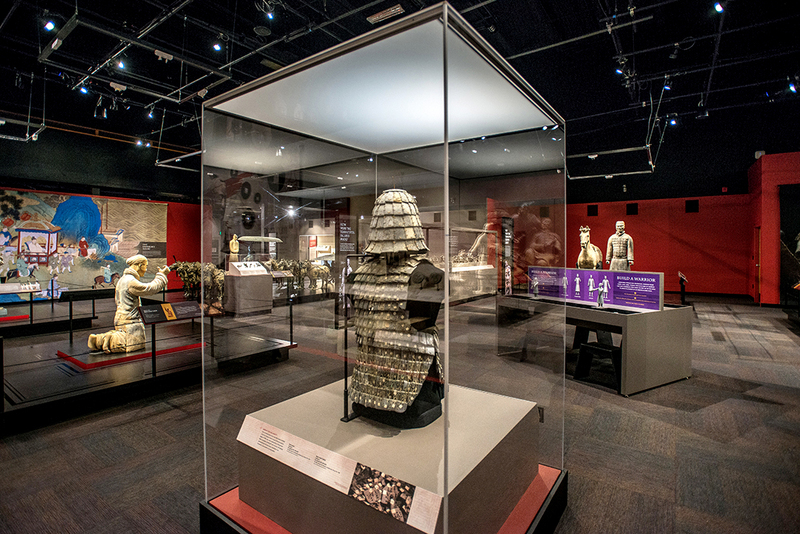 Journey through one of the most significant archaeological discoveries of our time featuring ten terracotta figures and over 160 artifacts of jade, gold, bronze, weapons and ceremonial vessels from China. 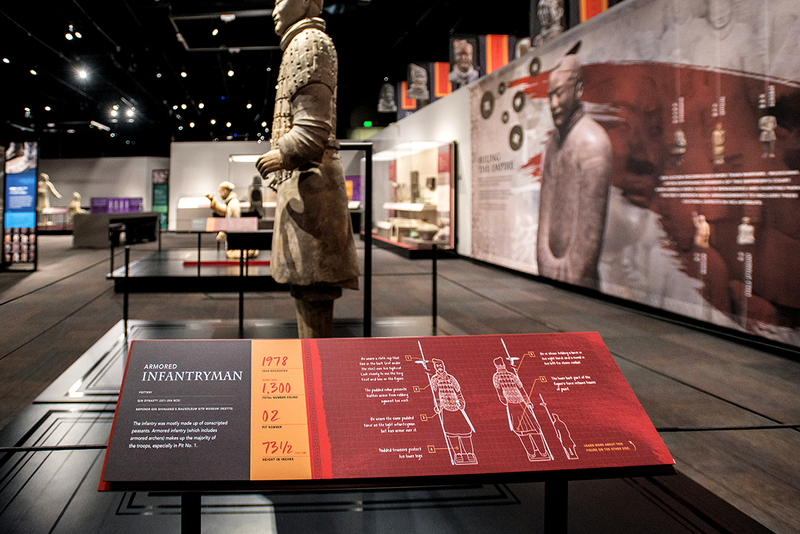 Uncover one of the world’s most enigmatic rulers, the first emperor of China, Qin Shihuangdi. 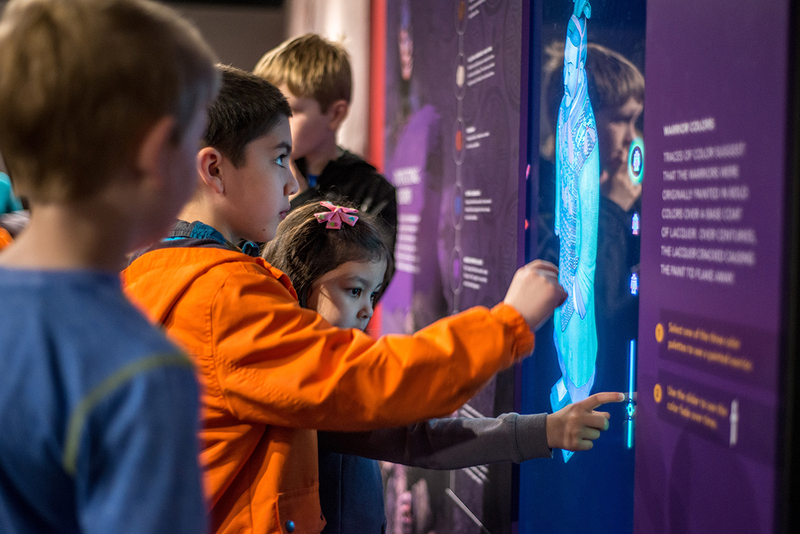 This interactive exhibit explores the science behind the figures, uncovering how and why they were made. 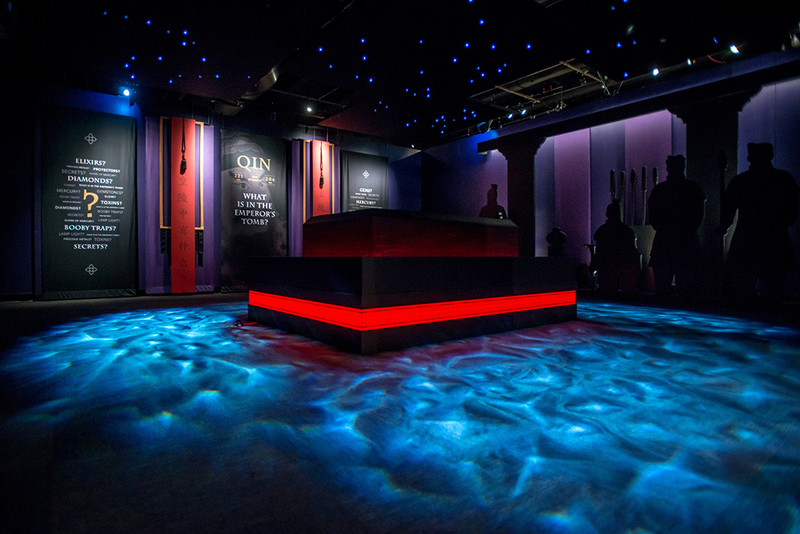 And gives visitors a glimpse of mysteries yet to be solved. 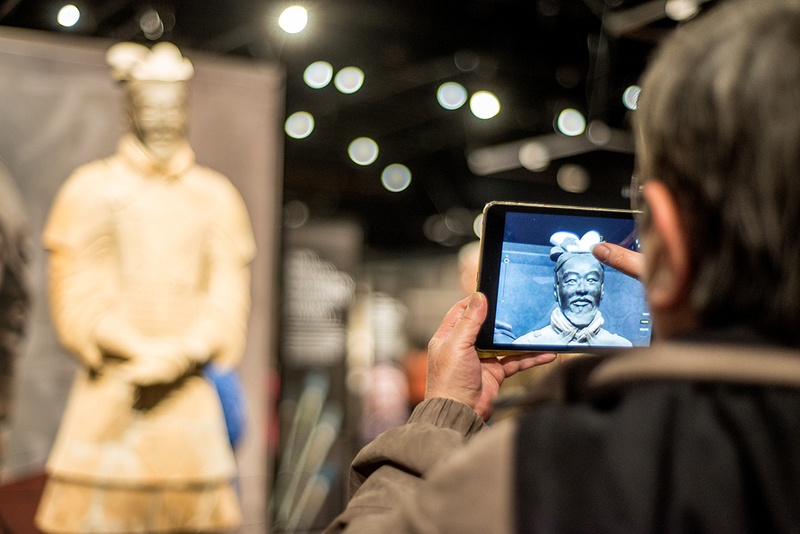 Terracotta Warriors was developed and designed to engage visitors in every aspect of the terracotta figures, from their initial manufacturing and burial to their rediscovery and reassembly over 2,000 years later. 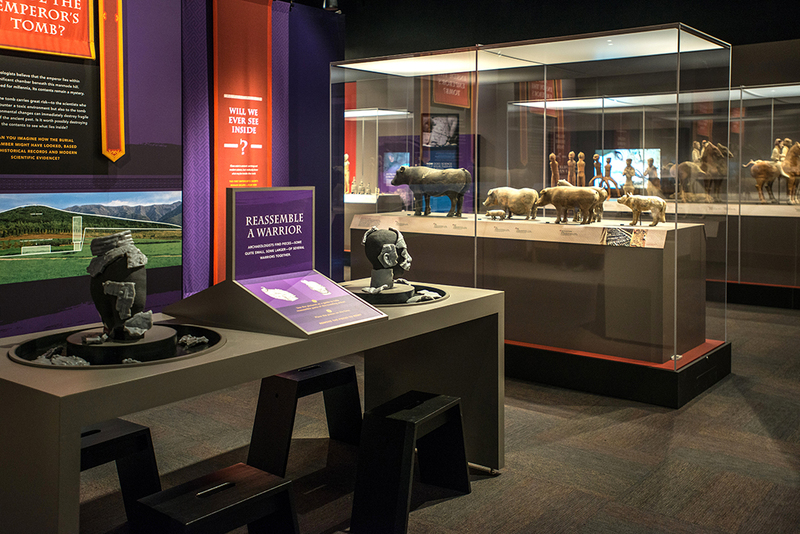 The exhibit features multi-sensory, immersive experiences designed to transport visitors in time and place. 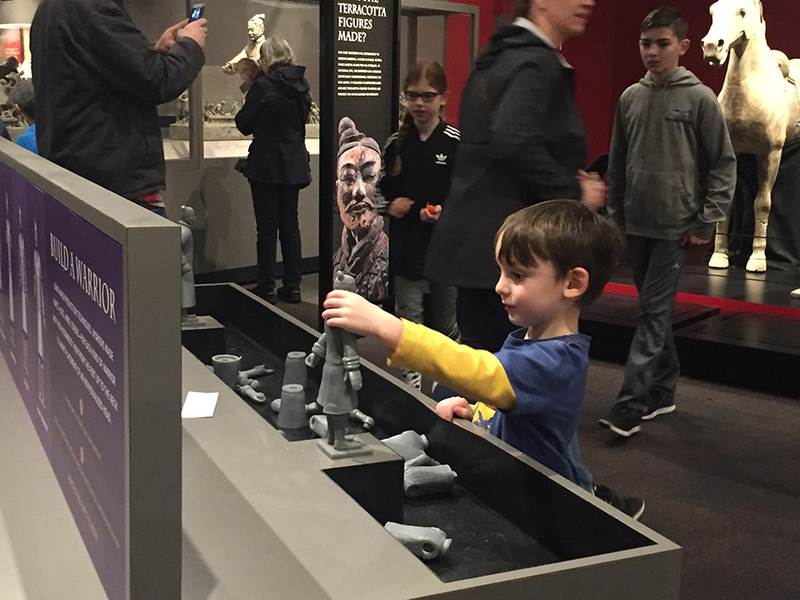 Engaging interactives help visitors understand the challenges facing today’s archaeologists and conservators as they piece together the remarkable history of Qin’s Empire. 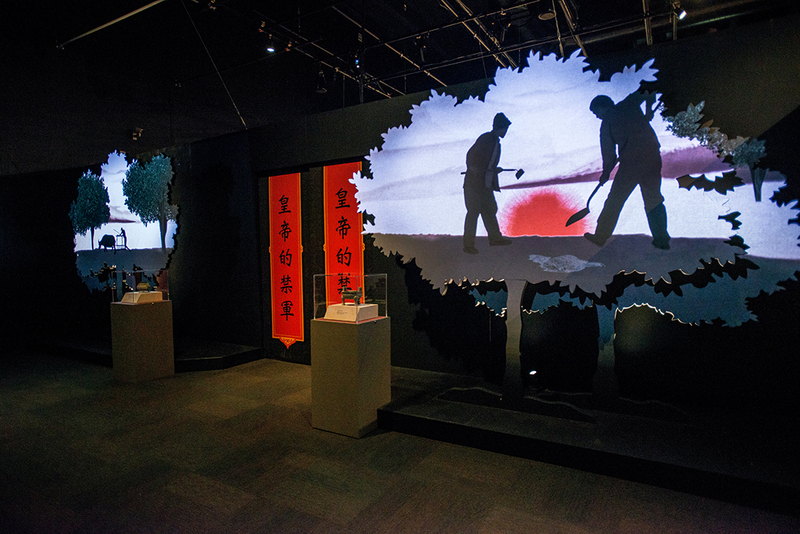 Interpretive content encourages visitors to question what they see as they delve deeper into the science of ancient China. 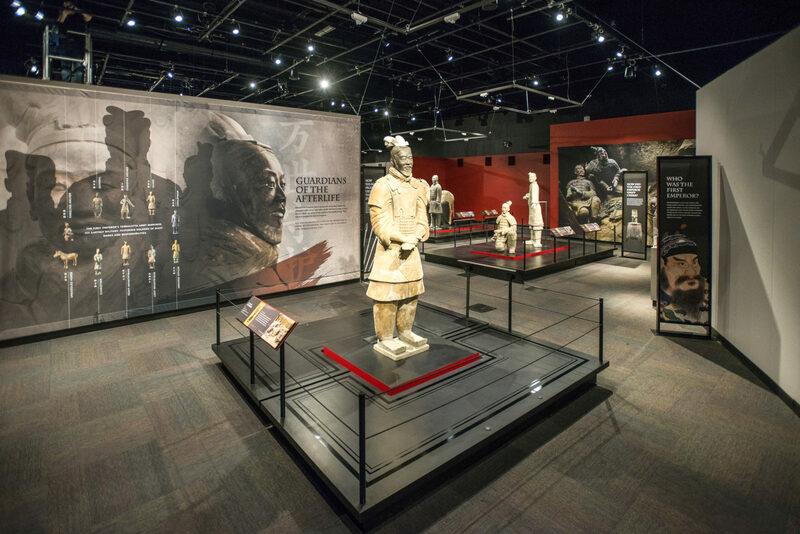 Terracotta Warriors of the First Emperor provides new insights for visitors as they explore this mysterious and fascinating time in history. 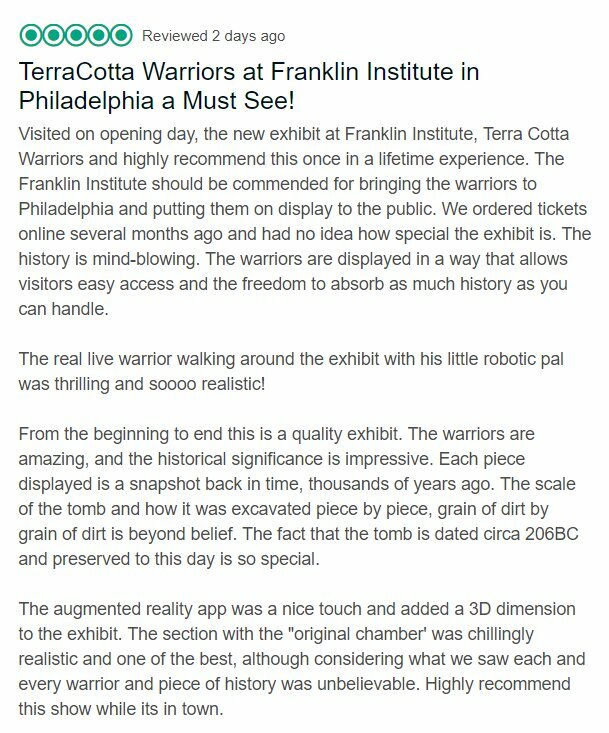 Special thanks go out to The Franklin Institute and the Pacific Science Center for this exciting opportunity and for the team collaboration that made this possible. 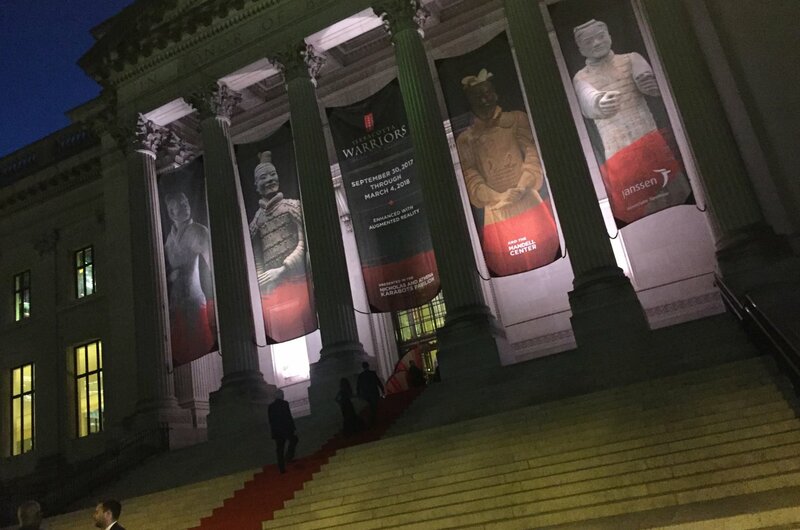 And to our partners in making our design vision a reality.